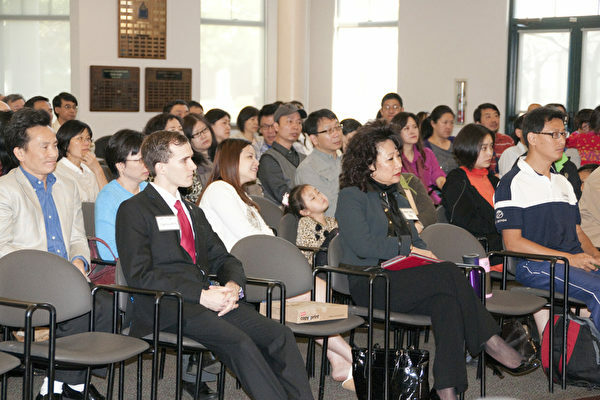 The Stop SCA-5 Forum held on March 16, 2014 attracted over 200 participants mostly from the Chinese community in bay area. The speakers included President of American Civil Rights Institute and Former University of California Regent Mr. Ward Connerly, President of Organization for Justice and Equality Mr. Frank Lee, San Jose State University Professor William Jiang, Republican California Senator Leader Bob Huff, and Republican California Assembly Leader Connie Conway. It’s been widely reported in the mainstream media. Chinese-Americans wooed by the GOP over anti-affirmative action in public universities. Besides rallying opposition to the bill, Sunday’s forum sponsored by the San Francisco-based Chinese-American Institute for Empowerment also served to drum up votes for local Republican candidates and contributions to GOP candidates elsewhere. Groups such as the Chinese-American Institute for Empowerment, the National Council of Chinese Americans and the Chinese Alliance for Equality turned to social and ethnic media after SCA5 cleared the California Senate in late January to mobilize the community to oppose the bill. The top GOP leaders of both chambers spoke at “Stop SCA 5” forum Sunday in Cupertino, sponsored by the San Francisco-based Chinese-American Institute for Empowerment. 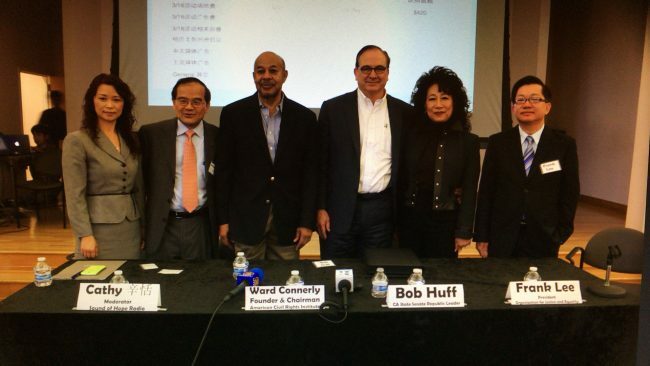 At one “Stop SCA5” forum in Cupertino that was organized by the ChineseAmerican Institute for Empowerment, top Republican leaders, such as Senate Minority Leader Bob Huff, Assembly Minority Leader Connie Conway, and former UC Regent Ward Connerly, whipped up the mainly Chinese American crowd with anti-affirmative action rhetoric while raising contributions and funds for the Republican Party.